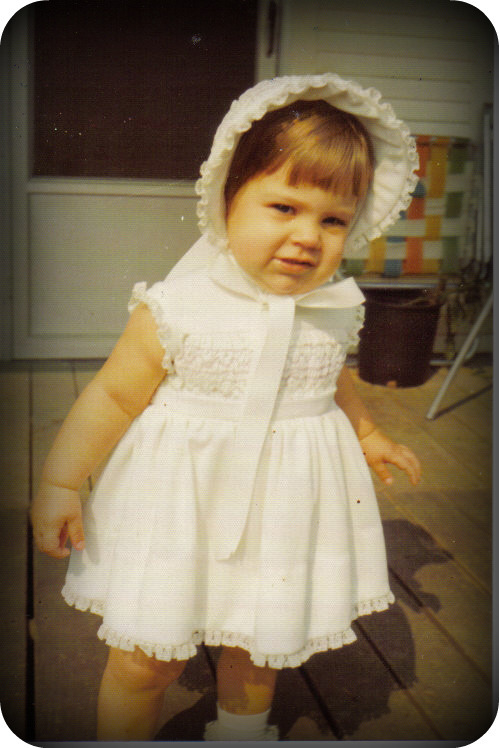 When I look at this photo of myself as a young lady all I can see is Roscoe dressed up in a dress and bonnet. We are super excited about Dan's upcoming 40th birthday celebration over here right now. His birthday month is in full swing. We are also busy getting Roscoe ready for his first trip to Disneyland at the end of the month. Today he is learning about pirates. I think he is going to need a pirate patch asap. soooo Roscoe in a dress! hehe! Happy Birthday Month to your sweet husband! I can not wait to see your family photo by the wishing well!